Zehra Khan is a multi-disciplinary artist who likes to make things by hand. She works in drawing, sculpture, installations, performance, and painting on people. A Pakistani and American born in Indonesia, Khan lived in Paris and Switzerland before moving to the US for high school. 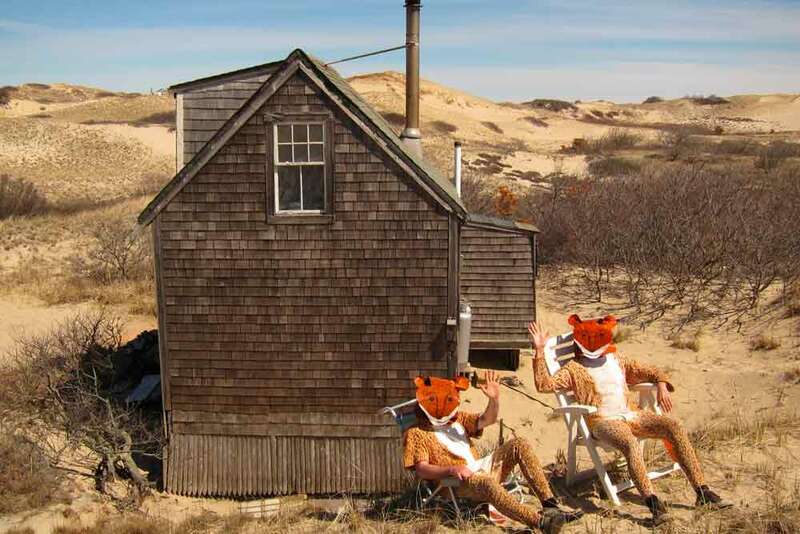 She received a BS from Skidmore College and an MFA from the Mass College of Art & Design at the Fine Arts Work Center in Provincetown, MA. Khan has attended art residencies at Yaddo, I-Park, the Post-Contemporary, the Virginia Mountain Lake Biological Station, and four times to the Vermont Studio Center. She is a current participant of the NYC Drawing Center Viewing Program and the deCordova Museum Corporate Lending Program. 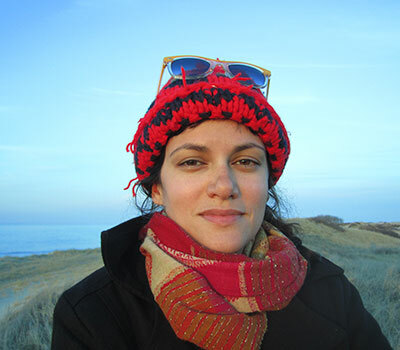 She co-authored the children’s book “A Sunny Day for Flowers” and contributed to “The Resistance Coloring & Activity Book.” In March 2018, Zehra was nominated as one of “10 Emerging New England Artists” by Art New England. Since 2016, Chris Daley has been Director of Writing Workshops Los Angeles, a private writing school for the brave, enthusiastic, and talented. She received her Ph.D. in English from the City University of New York Graduate Center, and is currently Lecturer in Writing at the California Institute of Technology. 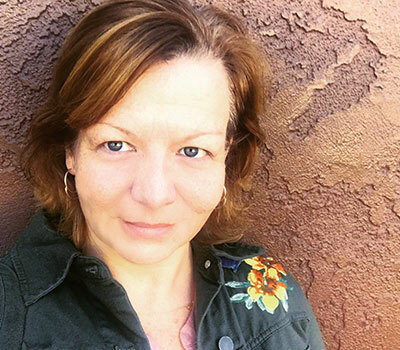 She has worked as a writing instructor for several universities in New York and Los Angeles, including Brooklyn College (CUNY), Loyola Marymount University, and the Polytechnic Institute of New York University. Her writing has appeared in The Collagist, FORTH Magazine, Angel’s Flight • Literary West, DUM DUM Zine, Cease, Cows, and Front Porch Journal, and her essay “Thoughts on Time After Viewing Christian Marclay’s ‘The Clock'” was recently included in the Norton anthology of contemporary nonfiction, Brief Encounters. She has reviewed fiction and nonfiction, primarily focusing on music and Los Angeles history, for the Los Angeles Times and Los Angeles Review of Books. She served as a judge for the fiction and first fiction awards of the Los Angeles Times Book Prizes in 2013 and 2014. Daley was also a Ucross Foundation writer-in-residence during the spring 2014 session and was awarded the Yefe Nof California Writing Residency in 2018. Tara O’Grady is a singer, songwriter and band leader from New York City who dazzles fans with her witty lyrics and vintage fashion. She’s also a rare storyteller and soon to be published author with fascinating tales of her encounters across the globe. 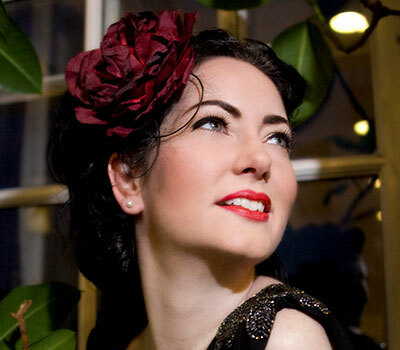 With looks reminiscent of the Golden Age of Hollywood and a voice to match, she transports audiences to another era singing the songs of Nina Simone, Nat King Cole, Edith Piaf and Billie Holiday. She brings her breathless charm to jazz festivals and music venues across New York, New Orleans, Austin, Nashville, Budapest, Seville, Copenhagen, Dublin and beyond. O’Grady’s soulful voice has been compared to legends such as Billie Holiday, Etta James, Aretha Franklin, Peggy Lee and Patsy Cline. Awarded Irish Voice’s Most Influential Woman 2010 by Ireland’s Prime Minister, the singer-songwriter has five cd releases, Black Irish (2010), Good Things Come to Those Who Wait (2011), A Celt in the Cotton Club (2013), Irish Bayou (2015) and Folk Songs: Songs About Real Folks (2017). Her recording of the famous song Danny Boy was ranked #6 in Best Selling Blues MP3s and #10 in Best Selling Jazz MP3s on the UK’s Amazon.com. That song was also featured in an award winning BBC documentary film celebrating the song’s 100th anniversary. The film was nominated for best documentary at Ireland’s Film & Television Awards in 2014, and starred O’Grady, Judy Collins, Joe Jackson, Gabriel Bryne, Rosanne Cash, and Paddy Maloney of The Chieftains. Her original songs and unique renditions of Irish standards can be heard on radio stations across America and Europe. French jazz band The Sassy Swingers from Nantes recently recorded one of Tara’s original songs ‘Heaping Helping of My Love’ on their new album because they “fell in love with Tara’s sound and lyrics.” Her rendition of the Irish classic song ‘Nora’ also appeared on Ireland’s television show Dancing with the Stars. Her band Tara O’Grady & The Black Velvet Band perform weekly in Manhattan at jazz clubs and combine celtic, folk, funk, blues, and especially jazz in their unique lickety-split swing sound that has been described as eclectic, authentic, timeless and nostalgic. 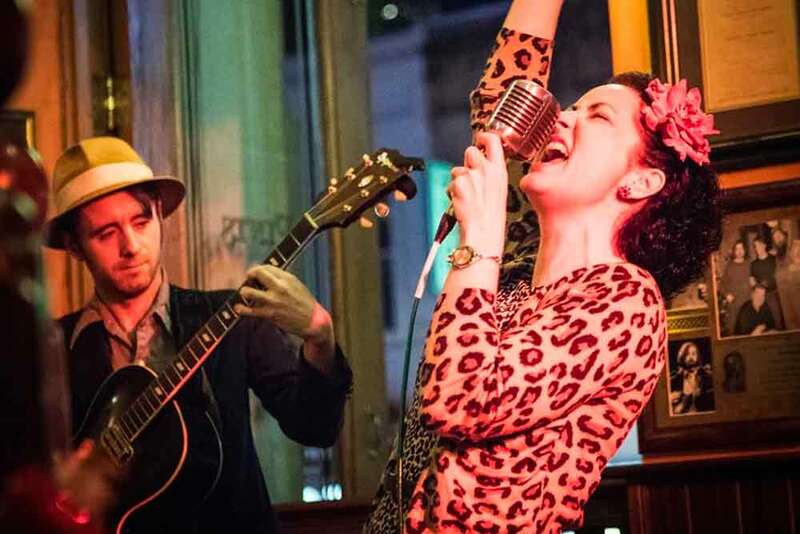 This Irish-American jazz powerhouse writes original music that sounds like it was composed for Ella Fitzgerald or Louis Armstrong, but also performs traditional songs with fresh arrangements meant more for a prohibition swing dance hall than an Irish pub.